It is Day 4 of the Blog Post Challenge, yet this is just my second blog post. By my calculations I still have another two posts to write today so that when the Day 5 Challenge lands in my inbox tomorrow, I’ll be ready for it. But for now, I will just start where I’m at and focus on the number ‘Four’. Four Seasons to be precise – or lack thereof. Where I currently live, the seasons are neatly compartmentalised into four distinct categories: hot; cool; cold; warm. There is enough variation in the weather to justify cluttering up my wardrobe with those quirky three-quarter sleeve, light weight tops that are neither hot nor cold, depending on the season. But it hasn’t always been that way. I have lived in climates that have been singularly extreme: hot and hotter; and where there were only two categories: hot or cold. For two years I called Penang home. It was two of the most memorable years of my life and I could happily have stayed there forever, but duty called me home. Penang is a tiny island off the mainland of Malaysia. There were only two variations in the weather: it was either hot, or hotter. The ceiling fans rotated at a rapid rate twenty four hours a day, three hundred and sixty five days a year. They never stopped! Penang has one of those climates where you step out of the shower, dry yourself off, and within seconds you need to repeat the process. But I loved it! Friends would ask if I missed winter while living in such a hot climate and the response was always a resounding – No! I still hate winter with a passion, but that’s another story. In 2011 Central Queensland beckoned me. I loaded up my car, a small sedan, with everything that I considered to be essential for a six-month adventure, and I drove. The car was so heavily laden that when I stopped along the way to buy a supply of coffee beans, just in case I couldn’t buy them there, I had to be very creative about how to fit them in. Had I known what was in store for me, weather wise, I could have sacrificed all those quirky three-quarter sleeve tops and made room for more practical things, like more coffee beans. I arrived in Moura late January. It was hot! And it stayed hot – very hot, until one day the weather Gods turned the heaters off. No warning, no transition; just no more heat. Summer ended and winter began with nothing more than a day between them. At the end of winter, summer began in the same way. The cold switched off and the summer heaters turned on without any warning. No Spring, just as there had been no Autumn. The three-quarter sleeve tops stayed safely stowed until I made my way back to a temperate climate. 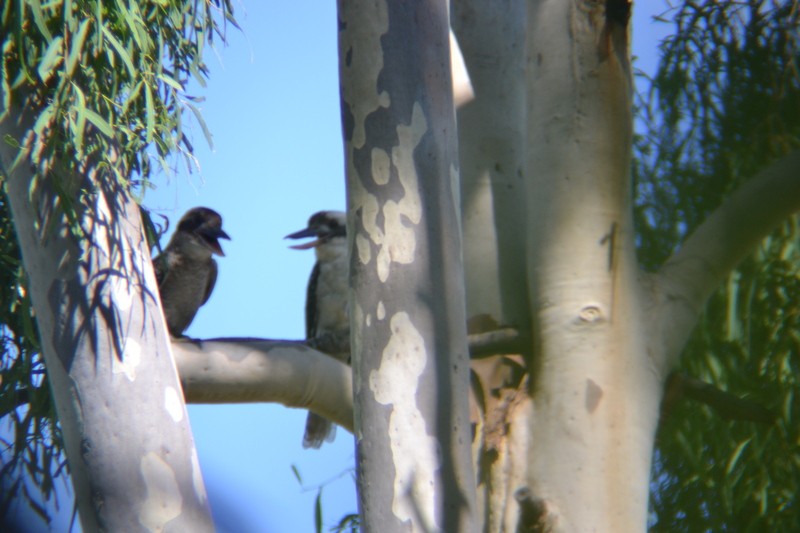 Despite the lack of four distinct seasons, my love of living in Central Queensland persuaded me to extend my six-month adventure to five fabulous years that are etched lovingly in my Most Memorable Years album. And those quirky three-quarter sleeve tops? I’m glad I kept them. For the past four distinct seasons in my new home, they have served me well. It pays to attend to the tiny details when planning a Seattle adventure. The famous words from Robert Burns’ poem ‘To A Mouse’, written in 1785, were never more meaningful than at the moment I arrived in Seattle to start my new adventure. The lead up to meeting my friend in Seattle included very regular communication between us – one of us in the US and the other (me) in Australia. Plans were created and confirmed – flight details exchanged – and everything coordinated, almost to the minute. We would meet at Seattle Airport on Tuesday 12 December; one arriving from Brisbane at 9.30pm and the other from Santa Rosa at 10.30pm. The first one to arrive would wait at the Baggage Claim area for the other. The one from Australia was leaving Brisbane Airport at 10.30pm Monday, so they would meet the other in Seattle on Tuesday night, right? Neither one of us considered that quirky little thing called the International Date Line, even though both of us have crossed the line from both directions, many times. 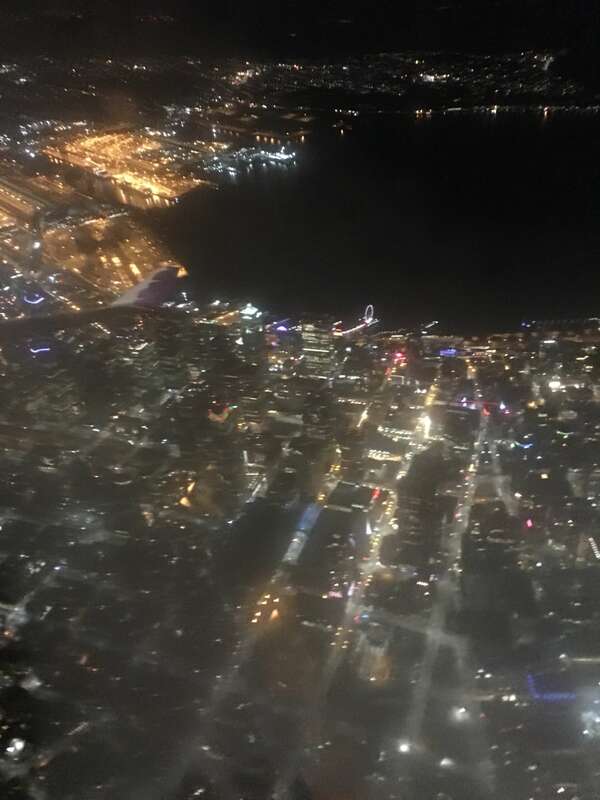 After a two-hour delay in Honolulu I arrived in Seattle, stressing about not being able to contact my friend to let them know I’d be late, only to discover they weren’t in the designated meeting place. Understandable; I figured – they were probably looking for me somewhere else. With the free SEA-TAC WiFi I was able to call them on WhatsApp, our favourite form of communication. Now you really have to use your imagination here because I want you to picture the scene that played out with that call. It goes something like this… Oh, and a key to the scene is the timing – approximately 11.40pm Monday night. 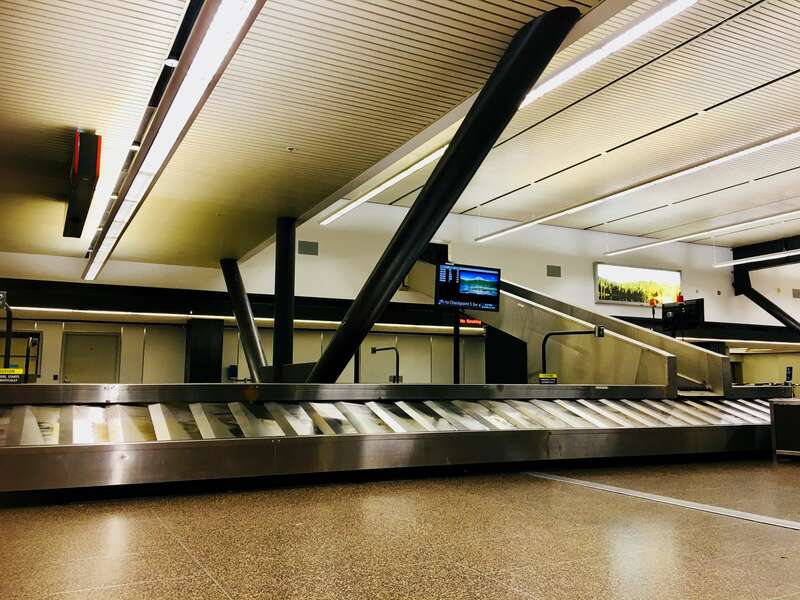 Me: “At the Baggage Area in Seattle ……. Airport (the penny started to drop)”. Designated meeting place in Seattle Airport – Empty! Midnight was fast approaching. The accommodation was booked for Tuesday night and I had no phone – only Internet, thanks to the free WiFi at Seattle Airport. Options started flying around my head faster than the Bullet Train from Shanghai, including the idea of spending the night and the next day at the airport. But I was in desperate need of a shower and sleep, not necessarily in that order and neither of which were available at the airport, so I decided I should find a hotel online and hopefully they’d have a shuttle, since Uber wasn’t going to be a starter without a contactable phone number to communicate with. And I knew that once I stepped away from the free WiFi, I was well and truly on my own. In the search for a phone I came across the Luggage Storage area that had two uniformed gentlemen attending it. I asked for directions to somewhere to buy an American SIM Card, or to a pay phone – either would do. I explained the dilemma that I found myself in and one of the kind gentlemen offered to show me a feasible solution. He escorted me to an area where a number of hotels offer a free phone service for the purpose of booking a room in an emergency. The hotels even offered a free shuttle service. A quick call and I had secured a hot shower, a bed and the means of getting to them. As I waited in the designated area for the shuttle, it occurred to me that in my haste to find the solution, I hadn’t actually taken much notice of the name of the hotel. Buses came and went; some with hotel names on them, some with numbers in the window. Luckily the number 63 was the only thing I remembered from the conversation with the hotel. After about 40 minutes the shuttle arrived. Of course, if it had arrived before midnight it would have been an elegant carriage driven by two beautiful white horses. Disillusioned, I climbed wearily into the shuttle heading for the low budget hotel, instead of the Palace. The shower was hot and the bed was warm – and that’s all I cared about until 9 o’clock the next morning when I opened my eyes to a brand new day and a brand new adventure. In an attempt to see the moon shine (not to be confused with ‘moonshine’) on the other side of the world again, I had to get ready to go, again. Leading up to the big day I seemed to lack the motivation to pack and get organised. Why? Still tired from the last big trip maybe? The thought of experiencing my third winter for the year? 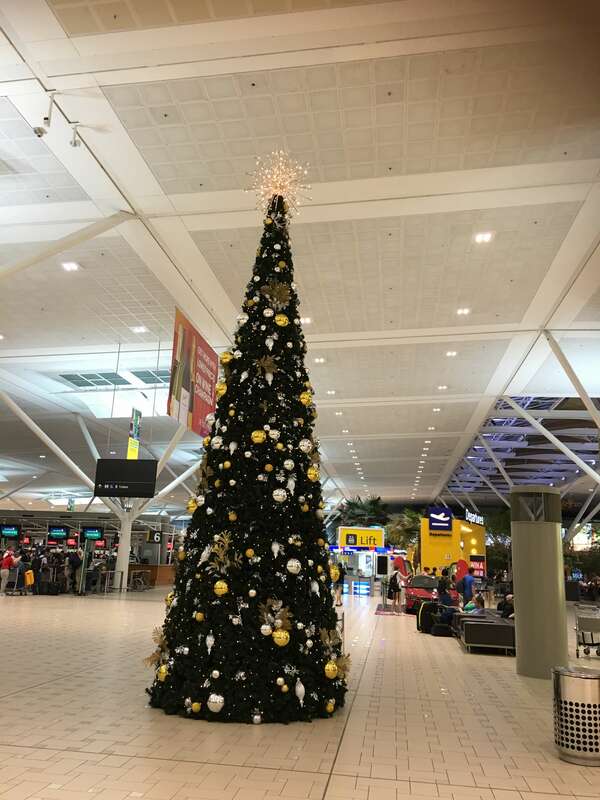 I really don’t know, but it seemed a huge effort and I have no idea how it all came about, but there I was on departure day, packed and sitting at Gate 82 Brisbane Airport waiting to board a flight to Seattle. The day I left was interesting to say the least. I’m usually in the city of departure on the night before an International flight, but not this time. I broke all my own rules by agreeing to stay on the north side of the city. It seemed feasible at the time, but it wasn’t without its moments of absolute terror as I contemplated what could go wrong in the process of getting to the airport on time. The biggest fear was relying on others to get me there. I normally travel under my own steam, but the generosity of Ricky and Sally prevailed and I succumbed to the offer to stay the night and have them drive me to the airport the next day. To take my mind off what could happen, I spent the morning at the local cafe with my two granddaughters, sharing girl-talk over coffee and a late breakfast. By the time we got home there were some chores to do, another attempt to know exactly what was in my backpack and more importantly, which pocket it was stowed in, and finally another shower before putting on the semi-warm clothes I’d need for my arrival into cold Seattle. Before I knew it Sally had arrived to help me load my luggage into the car and start the journey. First stop, meet Ricky at Nundah railway station; second stop, the Royal Hotel at Nundah for a superb Italian dinner; third stop, the airport. It all worked like clock-work so I needn’t have worried. 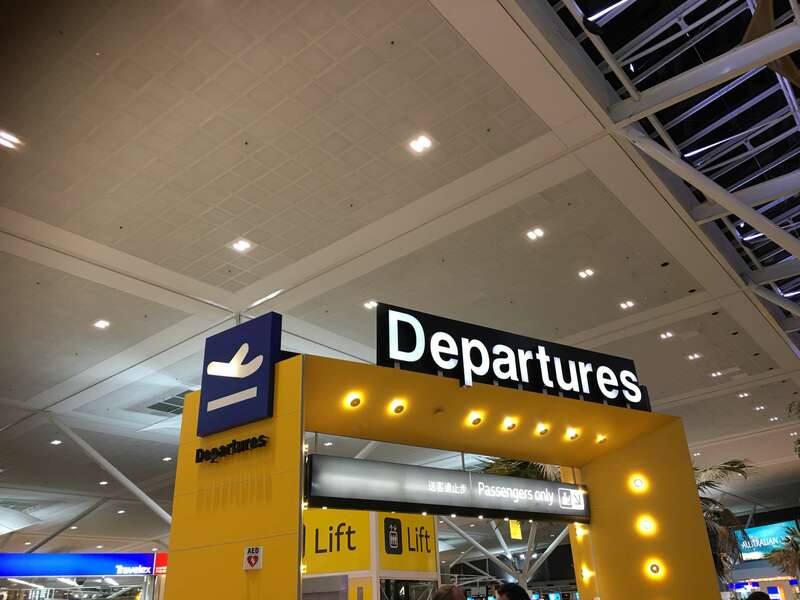 With my bags safely labelled and whisked away on the conveyor belt, I made my way to the next challenge – the part that alerts the Government to the fact that you are about to leave the country, which country(s) you are defecting to and how long you will be away. I miss the face of Customs and Immigration – the human element that would smile as they stamped your passport with place and date of departure, but I certainly don’t miss it at the end of the journey as you made your way home. No matter how much you declared every wooden souvenir you were bringing home, you still lived in fear of having missed something that the ever-alert Customs Officer would so easily find. I worked very hard at not having that ‘guilty’ look that Custom’s Officer’s are trained so well to detect. Interacting with a piece of paper is so much easier. Fill out the form, declare everything, and smile for the camera – Welcome Home! 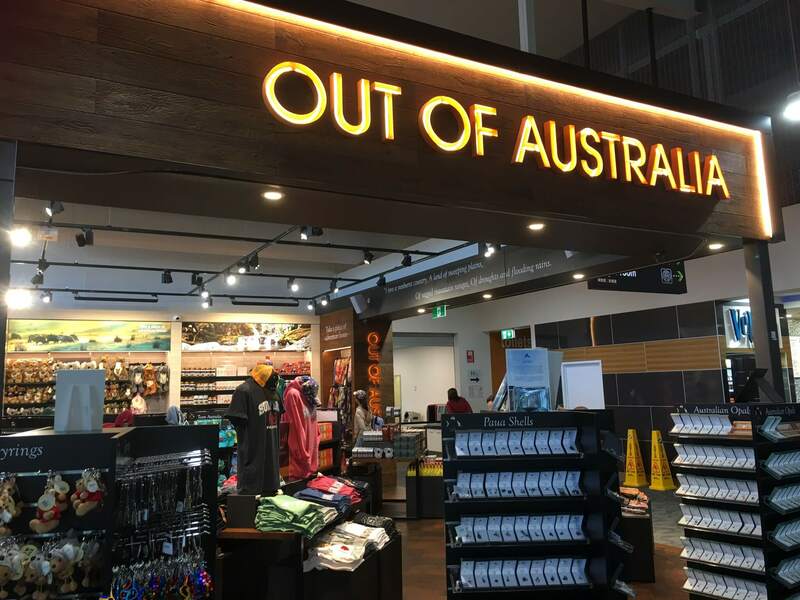 I love that you leave the Customs area via the Duty Free area, but I still can’t get used to seeing a packet of Tim Tams sell for four times as much as in the supermarket – all in the name of Duty Free – no doubt. It seems the humble Tim Tam has acquired equal status to Vegemite as the quintessential Australian icon. But first, a two-hour stopover in Honolulu – that turned out to be a lot longer than I anticipated, but you’ll have to read about that in the Sequel to follow….